Sequential intercept mapping is an approach to address the overrepresentation of adults with mental illness in the criminal justice system. This approach follows the sequential intercept model, a nationally recognized framework conceptualizing the linear movement of people with mental illness through the criminal justice system. During the sequential intercept mapping process, community stakeholders identify service and policy gaps and opportunities to address the needs of this target population. This qualitative study describes the perceived impact of sequential intercept mapping among community stakeholders. Sequential intercept mapping appears to be well-received, with the potential to improve collaboration and enhance community policy and practices. Earlier versions of this work were presented at the American Psychology-Law Society’s annual conference in March 2018 and the American Public Health Association’s annual conference in November 2017. The authors would like to thank Katherine Pawlicki and Andrew Skrinyer for their participation in data transcription and coding, and Mark R. Munetz for his review and comments on an earlier draft of this paper. 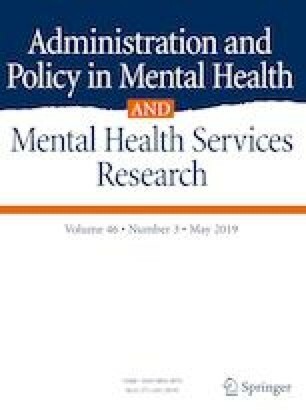 This study was funded by a Justice Mental Health Collaboration Program expansion grant (Grant Number 2015-MO-BX-0020) awarded by the Bureau of Justice Assistance through the Ohio Office of Criminal Justice Services (Mark R. Munetz, MD, Principal Investigator). All procedures performed involving human participants were in accordance with the ethical standards of the institutional and/or national research committee and with the 1964 Helsinki declaration and its later amendments or comparable ethical standards. The Institutional Review Board at Northeast Ohio Medical University approved this study (protocol #16-025). Criminal Justice Coordinating Center of Excellence. (2018). Sequential intercept model. Retrieved July 13, 2018 from https://www.neomed.edu/cjccoe/sequential-intercept-mapping/.